The first of Diamond Select Toys‘ new Legends in Three Dimensions 1/2 Scale Bust Line will be available in comic shops this week. The new statue line was seen back at New York Comic-Con 2018. They are kicking off the line with their new Deadpool 1/2 Scale Bust. Each of the resin busts will stand about 10″ tall atop character specific themed pedestals. They will retail for between $150 – $200 each and will be limited to 1,000 pieces each. 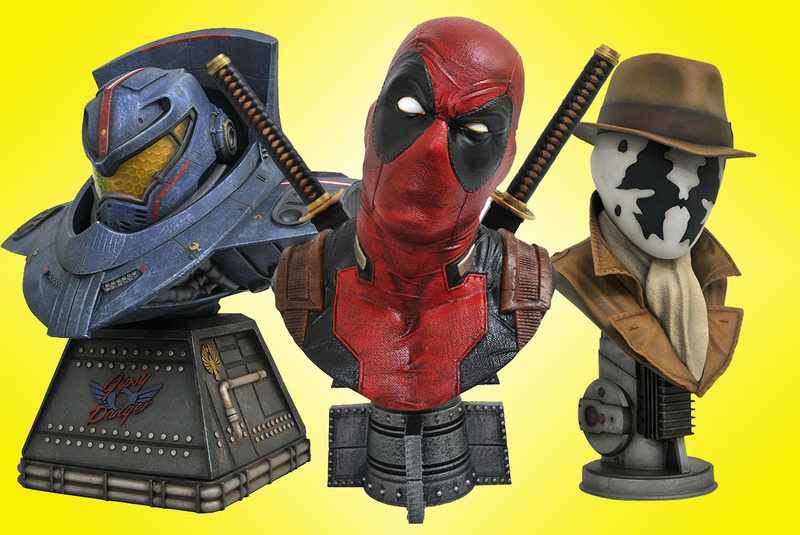 After Deadpool, collectors can expect busts of the Iron Giant, Gipsy Danger from Pacific Rim, Jack Skellington from Nightmare &#187; Continue Reading. The post Legends in 3D Busts by Diamond Select Toys appeared first on The Toyark - News.